Kings didn\'t make playoff for year 16. Kings didn't make playoff for year 3. Manchester Monarchs was eliminated at round 2 of year 3. Erik Ersberg has been added to Kings. [30.04.2017 19:21:58] - Ontario Reign was eliminated at round 1 of year 16. [11.04.2017 23:57:17] - Kings didn\'t make playoff for year 16. [25. 10. 2016 0:14:12] - Filip Hronek has been added to Kings. [25. 10. 2016 0:14:12] - Dante Fabbro has been added to Kings. [25. 10. 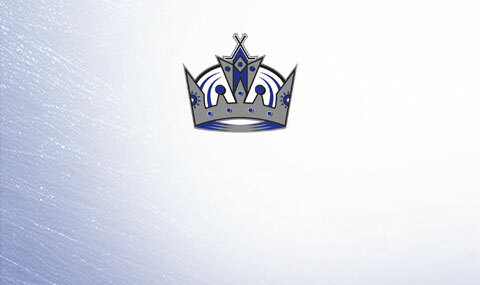 2016 0:14:12] - Carl Grundstrom has been added to Kings. [25. 10. 2016 0:14:12] - Damien Riat has been added to Kings. [25. 10. 2016 0:14:12] - Jordan Stallard has been added to Kings. [25. 10. 2016 0:14:12] - Christopher Paquette has been added to Kings. [25. 10. 2016 0:14:12] - Maxim Mamin has been added to Kings. [26. 10. 2016 23:18:22] - New Record for Team Most Penalties (47) in 1 Game for Kings! [5. 10. 2016 0:21:55] - Peter Harrold signed with Kings for 600 000 Kč for 3 year(s) with 0 Kč in bonus. [9. 10. 2016 23:31:41] - Evgeny Medvedev was added to Kings. [9. 10. 2016 23:31:41] - Evgeny Medvedev signed with Kings for 2 000 000 Kč for 3 year(s) with 0 Kč in bonus. [9. 10. 2016 23:31:51] - Chris Porter was added to Kings. [5. 10. 2016 0:21:55] - Peter Harrold was added to Kings. [5. 10. 2016 0:21:46] - Davis Drewiske signed with Kings for 600 000 Kč for 3 year(s) with 0 Kč in bonus. [5. 10. 2016 0:21:28] - Dustin Brown signed with Kings for 3 400 000 Kč for 3 year(s) with 0 Kč in bonus. [5. 10. 2016 0:21:28] - Dustin Brown was added to Kings. [5. 10. 2016 0:21:21] - Brian Boyle signed with Kings for 3 200 000 Kč for 3 year(s) with 0 Kč in bonus. [5. 10. 2016 0:21:21] - Brian Boyle was added to Kings. [9. 10. 2016 23:31:51] - Chris Porter signed with Kings for 900 000 Kč for 3 year(s) with 0 Kč in bonus. [9. 10. 2016 23:32:00] - Martin Havlat was added to Kings. [5. 10. 2016 0:21:46] - Davis Drewiske was added to Kings. [24. 10. 2016 0:42:41] - Scott Stajcer was added to Kings. [24. 10. 2016 0:41:12] - Francois Tremblay was released. [24. 10. 2016 0:41:12] - Kings paid 0 Kč to release Francois Tremblay. [24. 10. 2016 0:40:58] - Justin Mercier was released. [24. 10. 2016 0:40:58] - Kings paid 0 Kč to release Justin Mercier. [24. 10. 2016 0:40:44] - Simon Gagne was released. [24. 10. 2016 0:40:44] - Kings paid 0 Kč to release Simon Gagne.